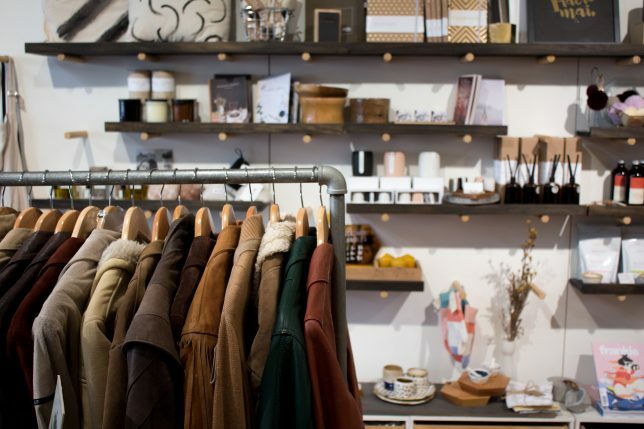 Located along Auckland’s busy Karangahape Road (called “K Road” by the locals), the Bread and Butter Letter is a charming boutique selling a curated selection of New Zealand-made goods, including vintage clothing and tea. 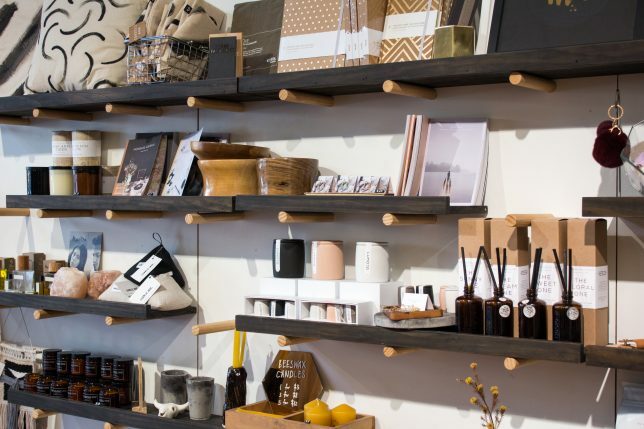 We talked to co-owner Rose Hope about the shop’s vibrant local community, her passion for locally made and ethically sourced wares, and how Vend helped the Bread and Butter Letter have its “most successful year yet.” Read more below! Sarah [Firmston, co-owner] lived above a sunny heritage retail spot and asked me to come on board to create a hub for all things we believed to be cool and creative. This was five years ago, when craft markets and vintage clothing were especially exciting. At the time, no one in our city had created a permanent home for handmade and vintage. 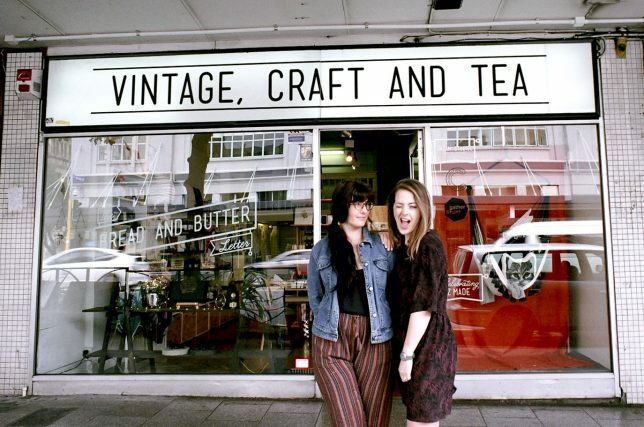 What started as an idea for creating a craft market-like store has transformed into a central hub for conscious consumers, where we sell items from only New Zealand businesses alongside vintage clothing. We’ve created a safe environment for shoppers’ consciences, as the money’s being put back into creative New Zealanders and non-for-profit opportunity shops! 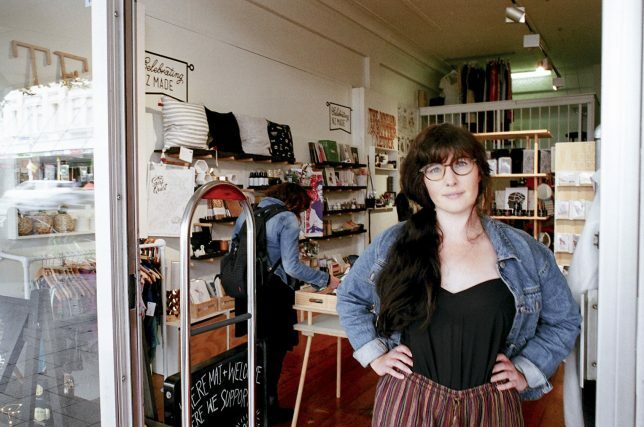 Karangahape Road in Auckland has always been the hub for all things alternative. As well as it being New Zealand’s red light district, it’s also our unofficial vintage clothing district. It has a long history of housing and centralizing students, the LGBTQ community, and tourists. Over our three years of being on this road, we’ve seen it change and grow (and scrub up) as it’s gone through a gentrification process — but fortunately, the community has remained. Our customers are smart shoppers, creative dressers, and foreigners who are happy to find souvenirs actually made locally. We were an early Vend convert, and it literally changed our business. Like, we sent Vend flowers. We were so unaware of how much time we were wasting doing everything manually. To us, every Vend feature represents a solution for lost hours and wasted resources! We’ve always recommended Vend to budding businesses as it streamlines and organizes everything. It gives us simple methods to move our business forward each day and allows us to spend less time on admin. How did you find setup? What’s the specific setup like in your store? Are you using an iPad, PC, or other device? We use a desktop computer on our counter, with hardware installed including a label printer, address printer, and barcode scanner. Setup was really easy, and as we’ve gone on, we’ve broadened the features we use and have customized Vend to work exactly for us. For example, we don’t always purchase using the wholesale system, so we use the categories as brands instead to determine our wholesale and our consignment retailers. Our locally made-vintage combo started off with what we were interested in at the time — but now, as the face of shopping has changed and become more transparent through social conversations and trends like fast fashion and purchasing power, we’ve become very passionate about our offerings, knowing that both we and our customers really care about locally and ethically sourced products. In our five years, we’ve noticed that our customers increasingly ask the important questions: where the goods come from, who made them, what they’re made from. We’ve also noticed that people increasingly reject our paper bags and bring their own! It’s truly an exciting time to be in retail, and I’m so proud of our customers and community. We’ve buddied up with some really great, influential business minds in the past by offering a coffee and a conversation! It’s surprising that such great business people are so approachable; they can even be the inspiration you need to get through a hard time. Some of our best advice has been “movement creates momentum,” and it’s never been more evident than this year, in which we’ve taken a lot of risks. We’ve tried products and avenues we wouldn’t normally go down (such as our vintage homeware section, which has been well-received). We also looked at our competition and forcefully walked away from areas, looks, and products that made us similar to one another, in order to create a unique aesthetic. In our case, we’ve moved away from anything novel and refocused on usable products made from quality materials. It’s been our most successful year yet and our first without any winter slump, and I believe it’s because we’ve constantly evaluated what’s working and what isn’t. We like to have fun at our store. One time, I created a BINGO card for Sarah to do through the day that would embarrass her in front of the customers and gather some laughs. The squares said things like “Say ‘EFSTPOST’ instead of ‘EFTPOS’” or “Make the ‘p’ in ‘receipt’ not silent.” We also once threw the cash over the mezzanine onto the store floor “making-it-rain” style, which was silly and unprofessional but fun — just how we like it. Follow the Bread and Butter Letter on Instagram, and be sure to check out the store if you’re in the area! The post Vender of the Week: The Bread and Butter Letter appeared first on Vend Retail Blog.